When we moved to Oneida Square in downtown Utica in 2007 we quickly realized that the single greatest issue preventing neighborhood growth was the lack of economic opportunity for those who have significant barriers to employment. Many of our neighbors have no high school degree, were previously incarcerated, have physical disabilities or refugee status. Therefore, everything we do to highlight the beauty of our neighborhood and our neighbors has a primary focus of job creation. We take a holistic approach to our job creation enterprises and initiatives by not only creating jobs but also by creating a supportive network of services for our artists and artisans that include mentoring, life coaching, recidivism prevention and continuing education. 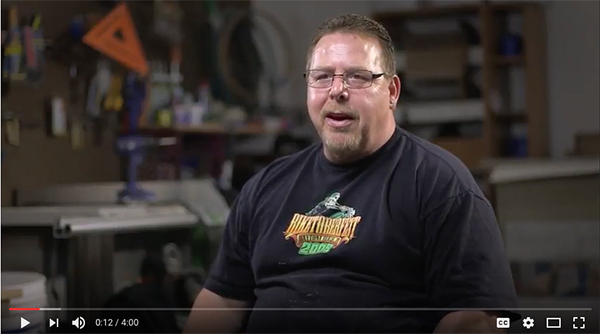 Watch our "Meet the Artisans" video to see how job creation has made a difference in the life of Doug Bologh.